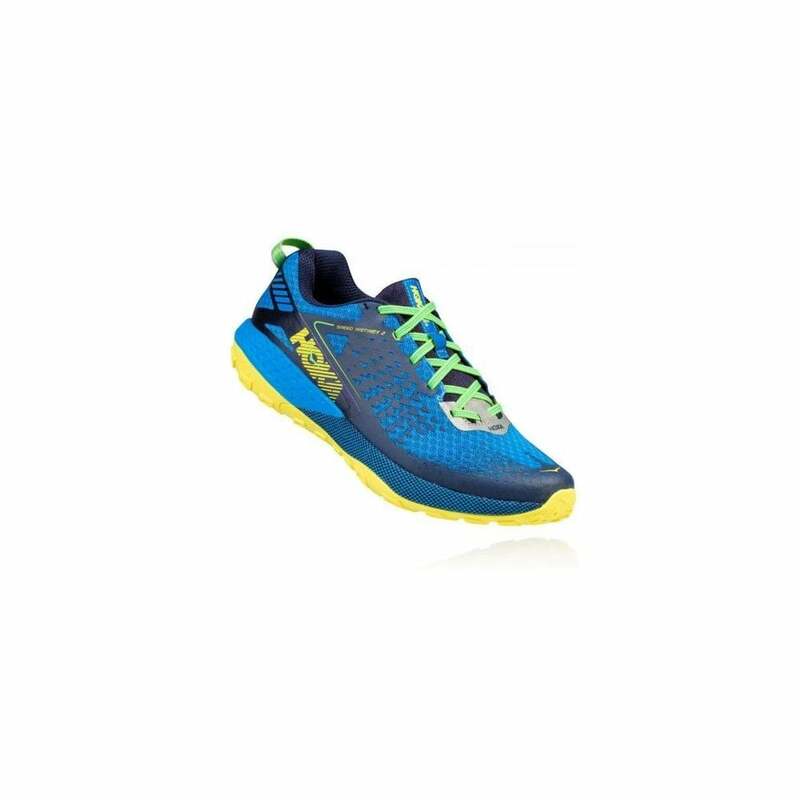 Hoka One One Speed Instict 2 Peacoat/Blue Aster is a nimble and responsive trail shoe, the Speed Instinct incorporates HOKA's PRO2Lite™ technology to offer a more cushioned heel and more responsive forefoot. Generous lightweight midsole cushioning sits atop a full rubber outsole, which features multidirectional lugs for improved traction. To top it all is a more refined upper with an adaptive fit, a more breathable mesh pattern and more support for the mid-foot.